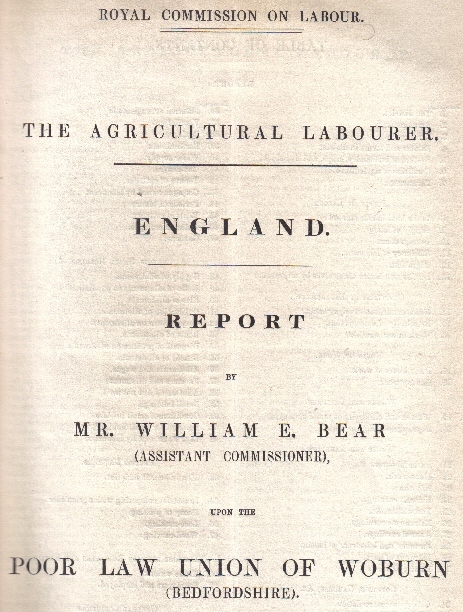 In 1892, Mr William E. Bear compiled a report for the Royal Commission on Labour on the lives of the agricultural labourers in the Woburn Union. The Union comprised of the parishes of Woburn, Aspley Guise, Aspley Heath, Battlesden, Chalgrave, Eversholt, Harlington, Hockliffe, Holcut, Husborne Crawley, Milton Bryant, Potsgrove, Ridgmont, Salford, Tilsworth, and Tingrith. He investigated their living and working conditions, and their wages and outgoings, by speaking not only to the farm labourers themselves, but also the land agents for the employers, chief amoungst whom was the Duke of Bedford. I cannot recall seeing another instance of the ordinary local working man’s life from Victorian times recorded so well. There are fascinating glimpses into what their daily lives were like, what time they started and ended work, the extra bonuses paid in beer for harvest time, descriptions of the cottages they lived in, and food they were buying. 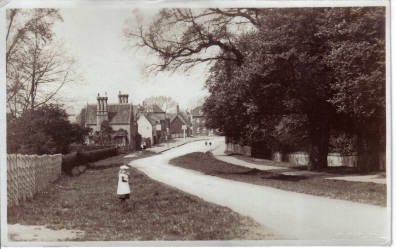 It records how housing was in short supply in Aspley Guise due to the number of employees for the printing works; how the brighter young men were leaving the countryside to seek better wages in towns, although he points out the “case of three young men who left farm work in disgust, and came down to their old parish on Sunday, dressed, as the people said, “like gentlemen;” for it turned out that their employment was that of scavengers…” and even how the afternoon tea-break was being stretched out from the traditional 10 mins to half an hour, much to the annoyance of the employers! Most working days for farm labourers were 11 or 12 hours long, and some had to walk 3 miles to get to work too. Once boys were 13, they accompanied their fathers to work. The days of “the prosperous plaiting and lace-making industries” which were “fruitful sources of immorality” had by now fallen away, and it was considered not worth doing anymore, except by the poorest of women who could do nothing else, as they would earn a just penny a day. I have scanned and OCR’ed the text rather than just publish photos of it, so that the text is fully searchable. I have illustrated the report with postcards from my collection. 4. Estates and farms in district. 40. Water supply. 5. System of husbandry, crops, and live-stock. 41. Out-houses. 6. Condition of agriculture. 42. Tenure of cottages. 7. Farm rents. 43. Cottages owned by labourers. Supply of labour. 44. Periods of tenure. 8. Is the land labour-starved? 45. Rents of cottages. 9. Supply of labour. 46. Rates on cottages. 11. Efficiency of labourers. Allotments, small holdings, &c.
12. Migration. 48. Supply of allotments. 13. Do the men better themselves by migration? 49. Ratio of allotments to population. Conditions of engagement. 50. Size of allotments. 14. Usual conditions of engagement. 51. Cultivation of allotments. 15. Regularity of employment. 52. Crops grown on allotments. 16. Work in wet weather. 53. Rents of allotments. Hours of work. 54. Disposal of produce on allotments. 17. Daily hours of work. 55. Benefit of allotments. 18. Sunday work. 56. Allotments and wages. Women and children. 57. Farmers and allotments. 19. Women and children not much employed. 58. Allotments Act not used. 20. Boys age of going to work.59. Small holdings. Wages and earnings. 60. Condition of small holders. 21. Farm labourers' wages. 61. Demand for small holdings. 22. Piece-work. 62. Live stock kept by labourers. 24. Harvest earnings. 63. Men in benefit societies. 25. Perquisites, &c. 64. Industries competing with agriculture. 26. Extraneous earnings. 65. Decay of plaiting. 27. Annual earnings. 66. Lace-making. 28. Farmers' and labourers' evidence. 67. Wood-carving. 29. Earnings of boys. Relations between employees and employed. 30. Family earnings. 68. Trade unions. Cottages, gardens, &c. 69. Employers and employed. 31. Cottage accommodation. General conditions. 32. Distance from work. 70. Sanitary conditions. 33. Construction of cottages. 71. Morality. 34. Condition of cottages. 72. General condition of labourers. 35. Number and size of rooms. APPENDIX. 36. Paternal arrangements. Statistical tables. To Geoffrey Drage, Esq., Secretary, Royal Commission on Labour. 1. I have the honour to submit my report on the supply of agricultural labour, the earnings of the labourers, cottage accommodation, allotments, and other points affecting the general condition of the agricultural labourers in the first district allotted to me, that of the Woburn Union, in Bedfordshire. 2. On receiving my instructions and the necessary circulars, I at once visited the town of Woburn, and made arrangements for carrying out my inquiry in the district. In the first instance I was favoured with a great deal of useful information from Mr. Charles P. Hall, Agent to the Duke of Bedford, the principal landowner in the union; the Rev. H. W. Southey, Vicar of Woburn; the Rev. James Andrews, Congregational Minister; Mr. W. H. Smith, Clerk to the Board of Guardians, the Assessment Committee, and the Rural Sanitary Authority; and Mr. Henry Matthews, Relieving Officer for the Union and Registrar of Births and Deaths for the Woburn sub-district. As Mr. Andrews has resided in Woburn for 45 years and Mr. Matthews for 30 years, these gentlemen were able to make many interesting comparisons between the past and the present condition of the parish and the surrounding districts. Mr. Andrews, moreover, has been chairman of the Woburn School Board for 13 years out of the 15 years of its existence. 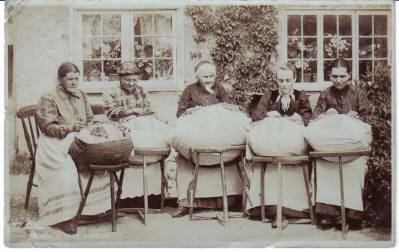 Having obtained information from these gentlemen and others as to the several parishes of the district, I sent out circulars to farmers and other persons announcing that I should be at Woburn on certain days, and requesting the favour of any evidence which they might be disposed to offer on the subject of my inquiry. Several came or wrote, and I subsequently visited all who did not come, as well as many to whom I had not written. As the district is a small one I determined to visit every one of its 17 parishes, staying in those which appeared to present features of special interest; and this intention was carried into effect. But before leaving the parish of Woburn I had interviews with a number of farmers and agricultural labourers, and inspected some of the cottages and allotments. 3. I was directed, when practicable, to hold public meetings; but after discussing the question with several local men I came to the conclusion that to hold such meetings would hinder rather than help me in obtaining accurate evidence. From groups of labourers, however, I did take evidence when I could get them together, and this was found useful, as one man was able to afford information which another could not give, and inaccurate statements were sometimes corrected. 4. The Woburn Union is situated in the south-west of Bedfordshire, part of it bordering upon Buckinghamshire. The soil varies greatly, a good deal being a rather heavy loam, some clay, and some gravel or a sandy loam, resting on equally varied sub-soils of clay, chalk, and gravel. As shown in Table A. of the Appendix to this report, which gives the acreage, rateable value in 1882 and 1892, and population in 1871, 1881, and 1891, for each parish the total area of the union is 29,603 acres. A large proportion of the land is in permanent pasture, which has considerably increased since the period of agricultural depression set in. I ascertained as nearly as possible the proportion of land in grass in almost every parish, and the estimate for the most part ranged from one-half to two-thirds, one-third being the lowest, while in one parish (Hockliffe) I was informed that only about a hundred acres were under the plough. A special communication of the Board of Agriculture to the Royal Commission shows that in 1891 the cultivated area of the Woburn Union was 25,948¼ acres, made up of 15,519 acres of pasture, and 10,429¼ acres of arable land. Thus, the ratio of pasture to total cultivated area (crops, bare, fallow, and grass) was 59.8 per cent., and that of arable 40.2 per cent. For Bedfordshire as a whole the Agricultural Returns of 1891 put the area of permanent pasture at 97,316 acres, or considerably over one-third of the total cultivated area (crops, bare, fallow, and grass) of 259,072 acres. In 1879, when agricultural depression first reached an acute stage, there were 80,101 acres of permanent pasture out of 260,853 acres of cultivated area, or less than one-third. The increase is over 17,000 acres. The ratio of pasture is greater in the Woburn Union than in the county as a whole, and the increase is probably greater in proportion also. The area of woodlands in the union is 446 acres, chiefly the property of the Duke of Bedford. The Duke has 12,378 acres of land in the union. Other estates are of moderate size and are well distributed over the parishes which the Duke does not wholly or chiefly own. Reference to several of the principal proprietors will hereafter be made. A large proportion of the area is occupied with farms of 100 to 300 acres, and a considerable area with larger farms; but there are not many over 500 acres. Some years ago many of the farms under 100 acres were aggregated into larger farms. Very few farms, as distinguished from small holdings, are owned by the occupiers. So far as I could ascertain, there is no marked difference between the employment of labour on the large and on the small farms, except to this extent, that when a man has a farm so small that he does a good deal of the work himself, he employs very little labour, unless he is a market gardener, and in that case he has more men in proportion to his acreage than a large farmer employs. Comparing ordinary farmers, while the extensive holder uses more labour-saving appliances than the occupier of 100 acres or less, he is often a man of enterprise who farms better than most of his neighbours. No doubt the employment of labour on the land depends more upon the proportion of arable land, the character of the farmer, and the amount of capital employed, than on the size of the farm. 5. 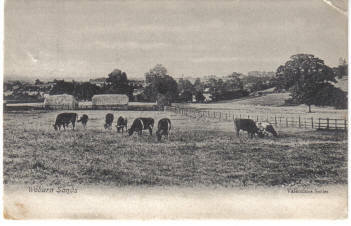 The prevailing system of husbandry on the arable land is still the four-course system, as it was when Mr. Culley wrote his report on the district and county for the Royal Commission on the Employment of Women and Children in Agriculture, in 1868; although it is not enforced on the Duke of Bedford’s estate or, I believe, on farms belonging to other landowners as a rule. A similar statement was made by Mr. Druce, in 1881, in his report to the Royal Commission on Agriculture. The principal crops are wheat, barley, beans, oats, potatoes, and clover. Very little fruit is grown, and there is not much market-gardening in this part of Bedfordshire, Toddington, and Aspley Heath, being the parishes in which the last-named industry is chiefly pursued. It will be understood, therefore, that there is no considerable cultivation of crops requiring an exceptionally large amount of labour. The agricultural wealth of the district is in great part derived from dairying, breeding, and grazing. Cows are extensively kept, their milk being for the most part sent to London from parishes near a railway station, while butter is made in those which are not conveniently situated for selling milk. While cattle and pigs have increased in number, sheep are less numerous than they were formerly. Comparing the numbers of the different classes of live stock returned for the whole county in 1879 and 1891, I find that cattle have increased from 30,790 to 36,480, and pigs from 29,061 to 38,347, while sheep have fallen off in number from 160,227 to 128,115. In spite of the reduction of the arable area for the county, the remunerativeness of horse-breeding has caused horses kept on farms to increase from 12,046 to 12,613. There is reason to believe that these changes are more marked in the Woburn Union than in Bedfordshire as a whole. Details as to the crops and the cattle and sheep in the Woburn Union will be found in the Appendix. 6. As the condition of the agricultural industry in the district has an important bearing upon the employment of labour, & few words upon the point will not be out of place in this report. The farmers of the district, I learned, have never been more discouraged than they are at the present time. “I have been in this parish 15 years,” said Mr. Bailey, of Milton Bryant, when I called upon him, “and times are worse for farmers than I ever knew them to be before.” A like opinion was expressed by other farmers, and, considering how low in price is everything which they have to sell, the lamentable verdict is not surprising. The average price of wheat is under 30s. a quarter, cattle and sheep have fallen seriously in value during the last two seasons, and milk and butter are cheap. Milk is sold at 1s. 2d. per barn gallon of 17 pints, the farmer having to pay 1½d. to 2d. for rail carriage, and to find churns. In winter the price is 1s. 5d. to 1s. 7d. Butter, at the time of my visit, was selling at 11d. a pound. 7. Although farm rents were not among the subjects upon which the Assistant Commissioners were directed to obtain evidence, their bearing upon the ability of farmers to employ a sufficient number of men at fair wages is so obvious that I deemed it desirable to obtain information upon the point. The general range of rents, so far as my information allows me to judge, is from 20s. to 30s. an acre for large farms, small holdings being charged at higher rates; some large farms, however, are let at 15s. an acre. Upon this subject more details, kindly supplied to me by Mr. Hall, in relation to the Duke of Bedford’s estate, will be found in the Appendix. Some strong complaints were made to me as to the high rents charged for small farms and accommodation land, from £2 to £5 an acre being paid, I was informed, for small holdings adjoining large farms let at £1 an acre. It is well known that the present and late Dukes of Bedford have been very liberal in granting temporary remissions of rent in bad years. For example, a return of 40 per cent, on the half year’s rents payable when I was at Woburn was announced. But, as a rule, some of the Duke’s tenants stated, no permanent reduction has been made except in the cases of new lettings, upon which the occasional remissions are not allowed. These statements are contradicted by Mr. Hall, as will be seen in the Appendix. Several witnesses also stated that no remissions were allowed on small holdings; but this remark may be applied chiefly to letting regarded as accommodation land. Other landlords, to a considerable extent, have followed the Duke’s example. There is a great deal of poorish land in the Woburn Union, and the rents struck me as high for the times. So far as the rateable value of the Woburn Union is any guide, the permanent reduction which has taken place in rents during the last 10 years is very small, for Table A., in the Appendix, shows that the total for the union has fallen only from £58,221 in 1882 to £55,959 in 1892. 8. In spite of the charge made by a few of the labourers from whom I took evidence, to the effect that the land in the district is “labour-starved,” I came to the conclusion, after driving through every parish in the union, that there was not generally much room for this complaint. At a small meeting of labourers which I held in the open air at Toddington, I was assured that a good deal of land was “laying itself down with twitch.” In a few places I did see more twitch than there should be in the land; but generally the fields appeared to be kept fairly clean. Indeed, judging from the condition of the crops in the district, which are not nearly equal to those which I have seen in most other parts of the country this year, it appeared to me that there was more reason to suppose that the land was manure-starved than that it was labour-starved, unless it is below average in natural fertility. In bad times farmers have good reason to economise in their expenditure for labour, as there is nothing less remunerative than unnecessary hand work on a farm. 9. Even if the land of the district is to some extent suffering from the want of more labour, this can hardly be said to be the fault of the farmers, for the evidence which I have collected shows that the supply of labour in many parishes is not equal to the demand in busy seasons of the year. The population, it is true, has fallen off to only a slight extent, as shown in Table A., the total for the union being 9,279 for 1891, as compared with 9,878 for 1881. Here we have a decrease of only 599, but it would be greater, probably, by fully 200 if it were not for the increase of well-to-do residents and printers’ men in Aspley Guise and Aspley Heath. Between 1871 and 1881 a much larger decrease took place, as shown in the Appendix. Besides, the proportion of old people to able bodied men must have become greater than it was 10 years ago, owing to the migration of young men hereafter to be referred to. Again, the lack of boys is particularly complained of by farmers, and school attendance regulations go far, therefore, to explain why the supply of labour has fallen off out of proportion to the decline in the total population. It is further to be remarked that, in certain parishes, where many old cottages have been pulled down, only a few new ones having been erected, the decrease of population is much greater than the average decrease of the union, in proportion to area; and in some of these places, or in adjoining parishes from which they attract labour, the scarcity in busy seasons is most felt. But it is to be borne in mind that, while the supply of labour is smaller than it was 10 years ago, less is required, owing chiefly to the increase of pasture, and that it is not desirable for farm labourers to be so numerous in any district that there will be a considerable surplus lacking employment in slack periods of the year. 10. There is no considerable immigration of labourers from other parts of the kingdom at particular seasons. A few Irishmen come at harvest time to Toddington and two or, three other parishes, but not so many as came in past times. 11. The general testimony of employers, and other witnesses who may be regarded as more impartial, is to the effect that the labourers are less efficient, as a body, than they were formerly. ”All the best of the young men go away, leaving only the old men and inferior young ones.” This was the complaint of most of the employers who gave evidence. They also complained that few of the young men who stay on the land take the trouble to learn to thatch, or hedge, or do other work requiring special skill. In some cases, too, it is difficult to obtain a sufficient number of men skilled in the management of live stock. 12. It will be gathered from the preceding remarks that the migration of farm labourers from the district affects the quality of the labour supply more seriously than it affects the quantity. It is the strong, the intelligent, and the enterprising who fly from their native villages to seek their fortunes in the towns or on railways; and it is the weak, the dull, and the listless who stay. To this general rule there are, of course, exceptions; but in my travels through the district I saw very few capable-looking young men among the agricultural labourers. I made a point of asking nearly every labourer whom I met why the young men migrated, and the reply in every instance was “to earn more money.” On being pressed as to other reasons for leaving the rural districts, my witnesses stated that the love of excitement influenced some of the young fellows; but this they evidently regarded as quite a secondary consideration. That they are right I have no doubt, for my experience of many years among farm labourers has led me to the same conclusion. Country life is not dull to those who are brought up to it. On the contrary, it is full of interest. Strange as it may appear to those who have not experienced it, there is an intense delight to the cultivator of luxuriant crops in a garden or allotment, or to the feeder of a prospering pig, in the contemplation of the results of his efforts and in the exhibition thereof to appreciative neighbours. Then, the village gossip, vacuous as it seems to an outsider, is interesting above all other things to the villagers. There is no lack of merriment in the gatherings of men and lads to be found in village streets on summer evenings and on Sunday, or in the meetings of familiar acquaintances in the public-houses, which are all too numerous in the Woburn Union. But there is one cause of diminished interest in village life to young men which may probably be ranked as next in importance to the desire of earning high wages and rising in the world, when the reasons for this migration are under consideration. This is the migration of the young women, which has greatly increased from the Woburn district, in consequence of the decay of the straw-plaiting and lace-making industries. There is no doubt that the girls who go into service in the towns act as magnets to the lads they leave behind them. One statement made by several witnesses was to the effect that the boys, as the result of their improved education, acquired a contempt for farm work. Probably it is so in many instances, although there is nothing of a degrading character in agricultural labour, and not much that is unpleasant. Many classes of employment in towns are much less agreeable. Indeed, as a rule, the work of mere labourers in towns is far more repellent than anything they called upon to do regularly in the country. The position of the bricklayer’s “slab” or the dock labourer is certainly less dignified than that of the agricultural workman. When the urban immigrants come down to their native village for a holiday, decked out in gorgeous apparel, they excite the envy of their old associates. But the truth of the adage, “Fine feathers do not make fine birds,” is illustrated by the case of three young men who left farm work in disgust, and came down to their old parish on Sunday, dressed, as the people said, “like gentlemen;” for it turned out that their employment was that of scavengers. 13. The question whether the majority of the men who migrate from the rural districts improve their position permanently or not is one which cannot be answered positively. That those who obtain employment as railway porters, getting comparatively high wages and many tips, better themselves there cannot be any doubt, and the same may be said for those who enter into service as gentlemen’s grooms or coachmen, or join the police force. Others, too, obtain good positions, or posts from which they may work up to good positions, in warehouses or shops. Not a few men, however, have returned from towns to the country, because they found themselves worse off after their first shift of quarters than they were before it; and many who are still in the towns freely admit that they would be better off in the rural districts. Men from the Woburn district have admitted that the pound or the guinea a week which they earn as town labourers “does not go as far” as 14s. or 15s. in the country, for they have to pay 5s. or 6s. a week for two rooms, and to buy every bit of garden produce which they and their families consume. Bearing in mind also the great temptations of town life, and the numerous wrecks which are produced thereby, as well as the loss of health which many countrymen suffer from being housed in stifling courts or employed in injurious classes of work, the question proposed above cannot with confidence be affirmatively answered. 14. Farm labourers in the Woburn district are engaged by the week. I did not hear of any instances of monthly or yearly hirings, or of men being lodged and boarded in farmhouses. 15. Employment on farms in the Woburn district appears to be exceptionally regular. Nearly every farmer whom I visited assured me that he employed as many regular hands in winter as in summer, and that the few extra men who do hoeing, hay-making, or harvesting in the latter season are, as a rule, men who prefer to work irregularly at comparatively high wages instead of regularly at the ordinary rates. They are mostly men of the loafing or poaching class, who go round with the thrashing machines in winter and take piecework in summer. 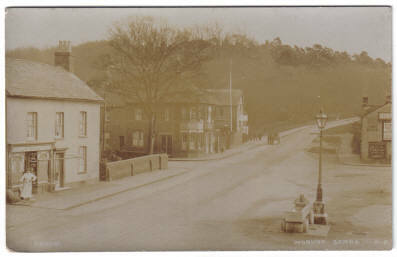 At Toddington some of the men congregated at a street corner complained of lack of employment, not only in winter but in rainy weather at other seasons. The appearance of these men, however, bore out the statement just made. Mr. Matthews, the relieving officer, informed me that men were occasionally out of work at Toddington, but added that it was generally their own fault. Residents in the parish, too, who are not farmers, assured me that no steady and industrious man in it need lack regular employment. Moreover, the Duke of Bedford every winter opens relief works for any men out of work, paying 2s. a week less than the current rate of farm wages, so as to afford a living to men who need it, without attracting any from farm work. 16. Another satisfactory assurance given to me by every employer whom I met was that he found work for his regular men, when working by the day, whatever the character of the weather might be, if they chose to come. When at piece-work the men make what time they please, and they occasionally lose time in rainy weather, which they possibly make good when it is fine. Some employers said they could usually find something for the men to do under cover on a wet day, however unprofitable it might be to themselves. In other cases it probably happens that the offer of work in wet weather is only made under the condition of its being done in the open, which may be almost impossible when rain falls heavily. But when inspecting labour books obligingly shown to me, I did not come across any evidence of loss of time from wet weather among men on the regular staffs of farms. 17. The usual hours of work for ordinary labourers are from 6a.m. till 6p.m. in summer, and from 7a.m. till dark in winter, with 1½ hours off for meals. But in Toddington, Harlington, and Holcut the men leave off work in summer at 5.30p.m. It is not difficult to understand why there should be this difference in the case of Holcut, where there are only three cottages, two of which are occupied by servants of the resident landlord, as the men employed in the parish have to walk a mile and a half or more to and from the farms on which they are employed. In the case of Toddington, too, many of the men have a long way to walk to farms in that or adjoining parishes. As to Harlington, the labour supply there is said to be insufficient, and it is to be presumed, therefore, that some of the men are from a distance. Where there are workmen on a farm who have good reason for expecting to leave off work before the usual time, it is not easy to compel the others to work till 6p.m. In summer a rest of half an hour is taken for breakfast, and the only other time to which the labourers are entitled is an hour for dinner. But in several parishes it is complained that they have begun to take an intervening time, varying from ten minutes to half an hour, for lunch. A short pause for refreshment has never been uncommon, and has not been objected to; but in some cases 10 minutes have gradually been extended to 30, and this extension is regarded by employers as an unwarrantable encroachment. The actual time spent in work in summer may be reckoned at 10 hours a day as the average for the district. In winter the men have breakfast before they go to work, but take half an hour for lunch. In the short days they cannot make much more than eight hours of work, and for three months of the year the average is not above 8½ hours. It is impossible to make any general statement as to the hours including the time taken in going to and returning from the farms, as it varies greatly, and is not precisely the same perhaps for two men on the same farm. Instances of men having to walk three miles night and morning were given to me. This is a great evil, and it arises partly from the fact that nearly all the cottages in the district are congregated in villages and hamlets, and partly from the insufficiency of cottages in some parishes. Horsekeepers and stockmen are expected to be with their animals at 5a.m. in most parishes, and at 5.30 in others. One farmer at Battlesdon, informed me that he expected them at 4.30a.m., which was formerly the regular time for beginning. On the other hand, a farmer at Holcut, whose men have fully two miles to walk, is satisfied if he sees them at 6a.m., and they leave at 5.30p.m. The usual time for men of this class to leave work is 6p.m. Their hours are nominally the same all the year round, but in reality the days are shortened more or less at both ends in winter. Some men who drive milk carts to the station make much longer hours. One of them stated that he left home at a quarter to five in the morning, and got back at a quarter to eight. The time for meals is the same for horse keepers and stockmen as for ordinary labourers. Ploughmen or carters who are not horse-keepers make the same hours as ordinary labourers. In harvest the regular day is from 5a.m. till 7p.m. with 2½ hours off for meals – breakfast, lunch, dinner, and bever (at 4p.m.). When corn is being carted overtime is often made, extra beer or money being given when the men are working by time. 18. The proportionate number of the men on a farm employed on Sunday generally varies from one-fourth to one-half, but seldom exceeds one-third. The time occupied is from four to six hours, varying with the seasons of the year, as well as with the character of the work. Cowmen, who have to milk twice a day, are occupied longest on Sunday, taking all seasons of the year into account. 19. In 1868 Mr. Culley reported that, except in hay time and harvest, female labour in agriculture was “hardly known in Bedfordshire,” and this is still true, in the Woburn district at least. Indeed, very few women do anything in the hayfield, and none in the harvest, I believe, unless in assisting their husbands or fathers at piece-work. In answer to the question, “Do women work on the land?” the reply was, in all but two parishes, an unqualified negative, and in one of the two exceptions it was “No, except a little in hay time.” At Toddington, the other exception, I was informed that a few women did a little work at pea and fruit picking, as well as in the hayfield; but it is so little as to be hardly worth mentioning. It struck me as very remarkable that I did not see a woman working in an allotment during my visit. I asked several people whether they did help the men on the allotments, and in every case was informed that they did not. When Mr. Culley wrote, the women had something better to do than to work on the land. They had straw-plaiting, which usually paid much better than farm work for woman, although the industry was in a somewhat depressed condition when he visited the Woburn district. Lace-making, too, at one time paid sufficiently well to keep a number of women employed at it. It is easy to understand, therefore, why it has not been customary in the past for women to work on the land in South Bedfordshire; and now that the industries referred to are utterly unremunerative and nearly extinct the women still refrain from farm work. This is not to be regretted, as far as women who have families are concerned, as they have quite enough to do in attending to their house duties, but there are many who could well spare time to do occasional work on their husbands’ or fathers’ allotments. Women are not commonly employed even as dairymaids. Men do the milking, and usually turn the churn, while farmers’ wives or daughters generally make the butter. As to young children, the school attendance regulations prevent their employment. 20. In reply to inquiries as to the age at which boys usually begin to work on the land, I was informed that it was 13 years, only one witness putting it at 10 years. Probably the latter statement applies to only a few specially clever boys, who are able to pass the requisite standard at so early an age. 21. Mr. Culley, in 1868, stated that the wages of ordinary farm labourers in the “Woburn Union were 11s. a week, and those of horsekeepers, shepherds, and others who have Sunday work 12s. to 13s. a week. In the Bedford Union wages were 1s. higher. In 1881 Mr. Druce gave 12s. to 13s. for ordinary labourers, and 16s. to 18s. for carters, stockmen, and shepherds, as the weekly wages current in Bedfordshire as a whole. At the present time wages are a shilling a week higher in North Beds than in the Woburn Union, as they were when Mr. Culley reported, and no doubt the same difference prevailed in 1881. The wages, therefore, in that year may be taken as having been 12s. for ordinary labourers, and 16s. for men having Sunday work in the Woburn district. Since Mr. Druce reported there has been a fall in wages, followed last spring by a recovery as far as ordinary labourers’ are concerned. But the Sunday workers are not at all commonly getting the minimum given by Mr. Druce for that class of men. Last year, and up to March, in most of the parishes of the union, ordinary labourers were getting a shilling a week less than the current rate of wages, which is 12s. a week in all the parishes of the union excepting Harlington and Holcut, where it is 13s. In the former of these two parishes there is a scarcity of labour, the cottage accommodation being bad and insufficient, while the migration of able-bodied men to work on the railways or in towns has been considerable; and in the latter parish there are no cottages for farm labourers. In Aspley Guise and Toddington the rate given to me was 12s. to 13s., but the lower one is the prevailing rate. Ploughmen or carters who are not horsekeepers get the same wages as ordinary labourers. Horsekeepers and stockmen, including shepherds, receive 14s. to 15s. as a rule, but there is a good deal of variation, partly attributable to the differing hours of Sunday or evening work, as with a milk-cart, and partly to the fact that some men have a cottage rent free. The extreme rates given to me were 13s. to 16s. The lower of these two sums is paid to those stockmen who are not required on Sunday, while the higher rate is given generally only in Harlington, to some men in Holcut, and to men who are employed in driving a milk-cart to the railway station in a few other places. Details for the several parishes are summarised in Table C. in the Appendix. The Duke of Bedford’s ordinary labourers have 15s. a week all the year round, and his stockmen 2s. to 3s. more. 22. As a rule there is comparatively little piecework, as might be expected in a district in which permanent pasture prevails. Except where harvesting is done by the piece, hoeing and hedging, with a very little mowing in some places, were the only kinds of piece-work mentioned by farmers. Several employers informed me that the men did not care to take piece-work, or to exert themselves to earn much at it if they did take it; also that after doing enough to come to 2s. a day a man would often leave off to work on his allotment. Others stated that their men earned 2s. to 3s. a day at hoeing (the former sum being most common), and 2s. 6d. at hedging. The price paid for hoeing ranges from 3s. 6d. to 5s. an acre, according to the character of the work and the nature of the soil. For hedging, 2s. 2d. a chain appears to be an ordinary price. Nearly all mowing is done by machine. The prices named when it is done by hand were 4s. 6d. to 5s. an acre with beer, or 6s. without, good hands earning 4s. or more a day. 23. The most common mode of payment in hay time is that of paying extra for overtime only, and giving beer. For overtime it is usual to pay 3d. an hour, and the quantity of beer given varies from four to six pints. When no beer is given (id. a day is sometimes paid instead, while in others 6d. a day extra with beer is paid, to include overtime. In Harlington, according to Mr. Foll, who was very obliging in affording me information and in showing me the cottages in his parish, the payment is 3d. to 4d. an hour for overtime, with four to six pints of beer, the men commonly earning 10s. beyond their ordinary wages, and getting beer valued at 7s. 6d. in 12 days. In Tingrith, Mr. Cooper stated, the men earn 3s. to 4s. a week each extra, with five pints of beer, for four or five weeks. But hay time does not commonly last so long. The receipts of the men must vary a good deal at this season, and it is difficult to estimate the average with any approach to confidence, but Mr. Foll’s reckoning of 17s., to include beer, is probably a modest one, as more than a fortnight is occupied with haymaking on some farms. Judging from all the evidence taken upon the point, I should say that the extra earnings of the men in hay time, including the value of the beer at 1½d. a pint, commonly range from 15s. to 20s. Where there is any hand mowing to do the amount is considerably higher. For machine mowing it is usual to pay 2d. an acre to the horsekeeper. 24. Where harvest is let by the month it is usual to pay double the ordinary labourer’s usual wages for four weeks, and to give beer. But in three or four parishes the sum is 20s. to 21s. or 22s. a week; in one it is 20s. to 25s. ; in others 24s., 25s., and 24s. to 26s. respectively, in. all cases with beer, while in one it is 25s. without beer. As this evidence must have been based on last harvest’s payments, when ordinary wages were a shilling a week less than they are now, it is probable that the rates of the current year (1892) will be higher. There is no payment for overtime in harvest, except extra beer. Where beer is not taken by a man he gets 4s. to 5s. a week instead in most cases, but in Husborne Crawley, Chalgrave, and Toddington the beer appears to be valued at only 3s. if money be paid instead. If the beer be valued at 1½d. a pint, 4s. a week seems a fair allowance for it, as with the extra beer given for overtime the average must be nearly or quite six pints a day, which, at 1½d a pint, would come to 4s. 6d. a week. Allowing 16s. for the month’s beer, then, the extreme range of harvest earnings in the union, when the letting is a time one, would be £4. 16s. to £6. When harvesting is done by the piece at prices which vary with the crops, the men appear to earn £5. to £7. without beer. Several farmers informed me that their own men earned £6. to £7. each last harvest, and one said that his men received £6. for piece-work in four weeks, and 16s. instead of beer. When the work is done by the piece, however, it is not usual to give beer. Some of the labourers whom I questioned said that they earned over £6. last harvest. 25. Excepting beer, alluded to already in references to haytime and harvest, there are no allowances or payments in kind worth consideration as additions to the earnings of ordinary labourers generally. The horsekeeper commonly gets 1d. an acre for drilling, as well as the 2d. an acre for mowing with a machine, already alluded to, in addition to his regular wages. Cowmen have 6d. for each calf reared, and shepherds 2d. per lamb. In many cases, but not in all, too, the cowmen have milk for their breakfast free of charge. This milk would cost at least 1s. a week if purchased, but whether its receivers would value it at so much is doubtful. As to the money allowances above mentioned, they vary so greatly with the number of acres or animals that it is impossible to give a general statement of what they amount to in a year. In the case of a shepherd with a large flock the lamb money conies up to a considerable sum, as may be imagined when it is stated that one employer informed me that he paid his shepherd £50 a year altogether. As a rule, however, flocks are not large in the Woburn Union. As to the few cases in which horsekeepers or stockmen have cottages rent free, these are already allowed for in the statement of the range of weekly wages. 26. The only work done by agricultural labourers apart from farm work mentioned to me, was a little digging of coprolites and a little wood-cutting; but the number of men affected seemed to be so small that I did not make detailed inquiry into the subject. At coproliting, I was told, men could earn £1. a week; but I heard of it in only one parish, and the same may be said of wood-cutting. The Duke of Bedford has his own staff of woodmen, and does not need the help of agricultural labourers. 27. In order to ascertain beyond all question the annual earnings of typical agricultural labourers, I requested a few employers to let me take out the weekly receipts of one or two men from their labour books, and my wish was readily gratified. Mr. Millard, of Aspley Guise, was good enough to assist me to take out the earnings of a skilled day labourer and a teetotaller, who earns regularly a shilling a week more than his fellow day labourers who are not horse-keepers or stockmen. He also gets more by piecework than others, because of his skill and industry, and a further advantage is obtained by his taking money instead of beer. His earnings were set down from May 1st, 1891 to April 30th, 1892. In May he was paid 12s. a week and afterwards 13s. He lost one week’s wages, 12s., through illness, in May, 6¾ days on his allotment, or otherwise on his own account, and five days on a visit to a relative. Altogether he lost £7. 17s. 3½d. through his unusually long absence from the farm during the year, which goes some way in bringing down his extra earnings as compared with his fellow day labourers on the farm receive. His total receipts were £39. 3s. 3½d. in the 12 months. Of this the sum of £6. 8s. 7d. was for harvesting done by the piece, 16s. paid instead of beer being included. All other extras above ordinary wages came to £2 19s. 6d, including 6s. earned in hay time, half of which was instead of beer. Obviously there is but little haymaking done on the farm. Harvest lasted 44 weeks, during which period the man earned 15s. for day labour when harvesting was impracticable. His average weekly earnings were 15s., or 2s. more than his ordinary wages, in spite of the fact that he received only 12s. for the first four weeks, and that he lost a good deal of time. I have given these details to show that the case was thoroughly investigated; but it would be tedious to do likewise with other cases. Mr. Robert Mossman, of Battlesden, is another farmer who kindly allowed me to see his labour book. I selected a day labourer who appeared to be an average one, and put down his earnings week by week from May 1st. 1891, to April 30th, 1892. Ten months out of 12, it is to be borne in mind, wages at Battlesden, as nearly all other parishes of the union, were 1s. a week less than they are now. His total money earnings amounted to £36. 7s. 8d., and his beer is valued at 10s. for hay time (six pints a day) and £1. for harvest, making £37. 17s. 8d. in all, equal to an average of 14s. 7d. week. It would be nearly a shilling more at the current rate of wages, if continued for winter as well as summer. The harvest money (exclusive of beer) was £5 for 24 fine days, and as harvest was spread over five weeks the extra over ordinary wages for the period came to £2. Other extras, including those of money (excluding the value of beer) earned in hay time came to £2. 11s. 8d. Mr. Mossman informed me that his cattleman and shepherd earned fully 1s. 6d. a week on the average more than this day labourer, and his horsekeeper 2s. more. Mr. Stopp, of Woburn, to whom I am indebted for much valuable information, allowed me to take the yearly earnings of his horsekeeper and cattleman out of his labour book. The former was unfortunately ill for 16 days, through which his earnings were seriously diminished. His total came to £38. 10s., or barely 15s. a week for the whole year. If he had not lost any time the average would have been £15. 9d. a week. In this case it is to be remembered that, during 10½ months out of the 12, wages were 1s. a week less than they are now. The stockman’s total was £40. 6s., as he lost no time worth mentioning. His average was 15s. 6d. a week. Beer is not included in either of these two cases. It was given in hay time, but not in harvest. Mr. J. Cooper, of Tingrith, another farmer to whom I am indebted for a great deal of assistance, estimates a cowman’s annual earnings at £38. 15s, and an ordinary labourer’s at £34. 10s. Mr. Adams and Mr. Pickering, who obligingly visited me together for Chalgrave and Hockliffe, put annual receipts of farm labourers of the several classes at £36 to £40. On the other hand, at a small meeting of labourers held at Hockliffe, the men said they earned barely £30 a year. None of them could give exact receipts for a year, and I may here remark that I have not yet met with a farm labourer who could do so. The amount cannot be as little as £30, unless a man has lost a good deal of time; for the ordinary and harvest washes, without any extras for hay time and piece-work, would amount to more than the sum named. Other farmers than those named estimate the average weekly earnings for the whole year at Is. 6d. to 2s. more than the ordinary weekly wages. This, I think, would be the usual range of extra earnings, while Is. to 2s. 6d. would be more accurate as a comprehensive range. The comparatively few horsekeepers and stockmen who have 16s. a week as their ordinary wages, must earn £48. to £50. a year, including all extras and the value of beer allowed. The Duke of Bedford’s men, as already stated, receive 15s. to 18s. a week all the year round. The Duke has no arable farms in hand, and there is therefore no harvesting for his men to do. 28. Except for the discrepancy as to annual earnings noticed in the evidence of farmers and labourers in respect of Chalgrave and Hockliffe, mentioned in the last paragraph, I have been gratified in finding that whenever I have tested the statements of employers as to wages by the evidence of the men, as I have done in most parishes, they have been confirmed. 29. Boys beginning regular work at the age of 13, or in some cases earlier, get 3s. 6d. to 4s. a week at first, gradually receiving more until they have men’s wages at 18 to 20 years of age. In hay time boys get 1s. to 1s. 6d. a week extra, and in harvest their wages are doubled. 30. When a labourer has two or three boys at work the family earnings are often double those of the man alone. In the case of Mr. Millard’s man, whose earnings are given in paragraph 27, the ordinary takings of the family are 26s. 6d a week without extras. This man has three boys at work, the oldest, who is 15 years of age, getting 5s. 6d., and the other two boys 4s. each. Including the harvest, hay time, and other extra earnings of this family, the yearly income can hardly fall short of £75. Mr. George Humphreys, of Ridgemount, informs me that last winter he paid a man and two boys 26s. 6d. a week, a rise of 1s. a week having taken place last spring. Presumably, therefore, this family will now be getting fully 29s. 6d. a week, as boys’ wages rise at least a 1s. each year independently of any advance in the rate of men’s wages. The average per week for the year would be 2s. to 3s. more. Mr. Foxon, of Toddington, who kindly gave up a good deal of time to me, pays 23s. a week to a man and two boys, extras not included. Mr. Bailey, of Milton Bryant, says a man with two boys, 13 to 15, would earn 24s. a week, not including any extras. 31. The cottage accommodation varies greatly in the several parishes. The evidence taken on this point from residents is that the accommodation is sufficient in Chalgrave, Eversholt, Hockliffe, Husbourne Crawley, Milton Bryant, Ridgemount, Tilsworth, Tingrith, Toddington, and Woburn, and insufficient in Aspley Guise (because of the immigration of the large staff of a printing establishment), Battlesden, Harlington, Holcut, Potsgrove, and Salford. The chief cause of the shortness of supply is the demolition of old and bad cottages without a corresponding erection of new ones. As the population of the district has fallen off, and the new cottages as a rule are much more commodious than the old ones were, it is not necessary to erect as many as have been demolished. But the late Duke of Bedford, who had a wholesome fancy for the destruction of bad dwellings, is generally audited with having pulled down three cottages for every one that he has built. In Battlesden, I was informed, there are only five cottages where twenty-four once stood. In Holcut, where the Rev. B. C. Smith is lord of the manor and the principal landowner, there are only three cottages, two of which are occupied by Mr. Smith’s servants. In Harlington, where Major Cooper and the Rev. B. C. Smith are the chief landowners, the former owning very few of the cottages, it is probable that the shortness of the supply arises from the lack of rebuilding as old dwellings became uninhabitable. Potsgrove, I believe, has always depended for its cottage accommodation on Sheep Line, a hamlet of Woburn, and there the Duke of Bedford effected a great clearance of wretched hovels, erecting several, but not an equal number, of excellent cottages instead. 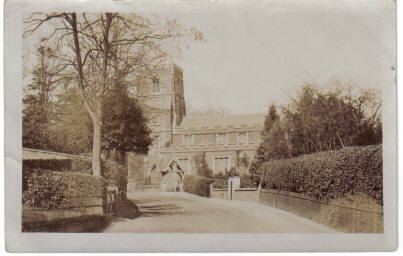 The deficiency in Salford is partly attributable to that of Hulcote, and partly due to the fact of the parish being the property of a Corporation (All Souls, Oxford), and let on a long lease (recently expired) to the Rev. B. C. Smith. How that the college authorities have resumed the management, they are slowly building excellent new cottages to replace some of those which have been pulled down. 32. The great fault of the cottage accommodation in the district lies in the lack of cottages on farms. Even on the Duke of Bedford’s estate there are rarely more than two cottages to a farm, however large it may be, and on many farms belonging to other landowners there are no cottages at all. The case of Holcut, where there is no cottage on a farm, has already been referred to; and at Toddington, where Major Cooper is lord of the manor and the principal landowner, the case is similar, as there are eight farms with one cottage for the lot. Throughout the union the cottages are nearly all in villages or hamlets, and the consequence is that most of the agricultural labourers have a long way to walk to their work. I heard of many cases of two miles, and some of longer distances. 33. The great majority of the cottages are of brick and tile, and the new or comparatively new ones built by the Duke of Bedford, All Souls College, and a few other landowners, are substantial buildings. In most parishes there are more or less of the old plaster (or mud) and thatch cottages, which are not always the worst, often being much more roomy and comfortable inside than the new ones put up by persons seeking a profitable investment. 34. With regard to the condition of cottages, I had the advantage of the evidence of the two medical officers of the union, Mr. King, M.B., of Aspley Guise, and Dr. Waugh, of Toddington, who, between them, have charge of all the parishes. In all cases my own observations confirmed their evidence, and I visited every village in the union. Taking the union as a whole, the cottages may be described as exceptionally good, and in good condition. But there are more or less discreditable cottages in several of the villages. The proportion is greater in Harlington than in any other parish, I think, for there are very few good cottages in that village, and some are more like inferior stables and lofts than human dwellings. Some that I inspected had roofs out of repair, and out-door closets quite exposed to the rain, and thus unfit for use. One bad one, occupied by a widow at 5s. 10d. a month, with no garden, was in a wretched state of repair. The dwelling-room is 11ft. 9ins. square, and there is one bedroom over it of the same size. 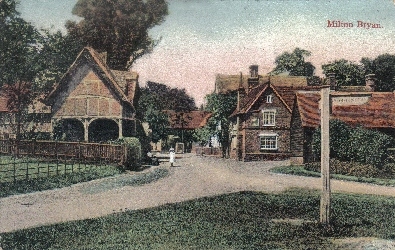 Several large families in Harlington are dwelling in cottages of this description. A neighbouring cottage is much worse, the dwelling-room being a long, narrow place, more like a passage than a room, the bedroom being like it, while a loft, reached by a ladder above, is used as a lumber room. In another case there is one large bedroom for a man, his wife, and five children. There is only one pole of garden, and the rent is 1s. 6d. a week. At Aspley Guise, the most charming village in the district, the cottages are for the most part good or fair; but there are nests of dilapidated plaster-and-thatch cottages at Mount Pleasant, in that parish, most of which, however, are not uncomfortable inside. 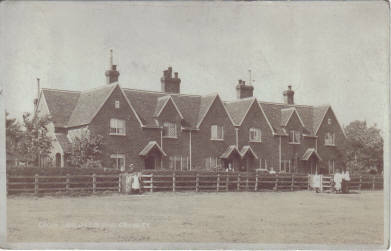 Several brick cottages at Mount Pleasant having dwelling-rooms 12 ft. square, and two to three bedrooms, and are in good condition. At Battlesden, the few cottages are those of the Duke of Bedford, and they are models, with large dwelling-rooms, three bedrooms, and large gardens. At Eversholt and Husbourne Crawley, too, the Duke owns most of the cottages, and consequently they are in excellent condition. At Chalgrave and Hockliffe there are several cottage owners, not including the Duke. Generally the cottages are in good condition in these parishes. Some of the worst in Chalgrave are now empty. In Hockliffe, however, there is a set of cottages, standing a little way back from the street, which are utterly unfit for habitation. The people who live in them look as wretched as the houses, which few of them attempt to keep in decent order. In short, the place reminded me of some of the worst of the congested districts of Ireland, with their wretched cabins and miserable inhabitants. Even worse, if possible, are some hovels in Pond Head and Fireball Alley, Toddington, as these have no back way, and the so-called privies are literally in the street. It is strange that they have not been condemned by the authorities, as they are of such little value that the person who owns one group of four offered to sell the lot for £50. There are all kinds of cottages in Toddington, but the great majority may be described as in fair or good condition. At Ridgmount, where the Duke owns about one-third of the cottages, and most of those belonging to him and to others in the main street are good, there is a higgledy-piggledy congregation of small hovels at a place called Lydd’s Hill. They are stuck about in all directions, as if their builders had squatted down on any piece of land they could find unoccupied. Most of them are of brick, and tiled or slated; a few of plaster and thatched. The size of the dwelling-room in some of the smallest, which are not those in the worst condition, is 10ft. square. Nearly all have gardens. They belong to different owners, and the rents are 1s. to 1s. 6d. a week. At Salford the worst cottages have been pulled down, but there are still a few bad ones left. Tilsworth, too, has some poor cottages, without gardens, but not discreditable in outward appearance. One that I inspected has no garden or backway, and the rent is 1s. 6d. a week, or as much as a tenant of the Duke of Bedford would pay for a cottage with much better accommodation and a large garden. Milton Bryant, under Miss Synott as the chief landowner, and Tingrith, formerly the property of the late Miss Trevor, but recently sold by her executors, may be described as model villages. As to Woburn, the Duke of Bedford owns nearly all the labourers’ cottages, and they are generally excellent. But there are a few very bad cottages belonging to private owners, small and cramped, and not in good repair. 35. Reference has already been made to the small number and size of rooms in some of the worst cottages, but the great majority of cottages in this district have two bedrooms, and many three. The Duke of Bedford’s cottages are of all sizes, from those with one bedroom for single persons or couples without children, to houses with three or four bedrooms. The sizes of the rooms vary a good deal also. In some which I inspected at Birchmoor Common, Woburn, the living room is about 12ft. square, and the back room is a little smaller. There are two bedrooms, covering the same space as the living room and the back room with its cupboard or pantry. The height of the downstair rooms is about 8ft. There are 20 poles of garden allotment attached to such cottages, and the inclusive rent is 1s. 4d a week. The only fault I noticed in these cottages is the very inconvenient placing of the stoves, the one for cooking and baking purposes being in the front or living room instead of the back room, which should be the kitchen. Thus a good deal of dirty work has to be done in the room which a good housewife likes to keep in spick and span condition. The walls inside are whitewashed or colour-washed, and the conditions under which the cottages are let require the tenants to rewash them every year, and to do a few other things to keep the interior in good condition. The roofs are troughed, the water going through a drain to a small brook. Cottages with three bedrooms have larger living rooms. Some details relating to the Duke’s cottages will be found in the Appendix. 36. Regulations which the cottagers do not like, but which are for their good as a class, are imposed upon the Duke’s tenants. An occupier is required to move into another cottage, not only if it is too small for his family, but also if it is too large or larger than he needs. One man complained that he had to leave the commodious cottage he occupied at 1s. 9d. a week, although he was quite willing to pay that rent, as he wished to remain where he had lived for many years; but, as his family had grown up and left him, he and his wife were obliged to move into a small cottage at a lower rent. This was felt as a grievance, and yet it is obvious that large cottages cannot be found for large families if couples without families are allowed to occupy them. 37. One of the points upon which the Assistant Commissioners are directed to make inquiry is ventilation of cottages. There are no arrangements for ventilation, so far as I observed, except windows chimneys, and doors; but this may be said of the vast majority of houses occupied by the middle class and of many mansions also. There are means of ventilation if the people will open their windows, as they will not generally. In many of the cottage bedrooms there is no fireplace, and therefore no opening into a chimney. In such cases, when several people sleep in them with the window shut, the air must become shockingly vitiated. 38. In most of the larger villages there is a drain for surface water and kitchen slops; but water-closets are not common, I believe, except in Woburn, a fact which is not to be regretted. 39. The Duke’s tenants in many, if not all, cases are required to carry out the earth-closet system, and I am glad to learn that they attend to it properly. All having gardens or garden allotments, there is no difficulty as to the disposal of the refuse or as to the supply of earth. Under such circumstances the system is the best that could be adopted. It is followed in some cottages not owned by the Duke, but the old privy system is usual in villages where the Duke is not owner of most of the cottages. 40. As a rule, the water supply is excellent throughout the union. The only complaints I heard were those of cottagers having to go to the town pump for water in a few cases, as at Toddington. Upon this point I accepted the evidence of the medical officers and residents in the several parishes. 41. Almost invariably the cottages have little outhouses, called “barns,” which are very useful, not only for coals and firewood, but also for tools and the produce of allotments. 42. Nearly all the cottages are held direct from the owners, farm tenants in some instances having the privilege of nomination when a cottage is vacant. Except where farmers own land and cottages, I did not hear of any instances in which they had the power of turning out the occupiers. They would not be likely to have such a power with regard to cottages in villages, and there are very few on farms. 43. Very few cottages are owned by labourers in any of the villages of the union, so far as I could ascertain. 44. Cottages are let by the week, the month, or the year, and the periods of notice to quit vary accordingly. I was informed that the Duke’s cottage tenants held subject to a week’s notice to quit on either side. 45. The rents of cottages range from 6d. to 2s. 6d. a week. There are some at 3s., but not commonly occupied by agricultural labourers. From 1s. to 1s. 6d. a week is the usual range of rents paid by farm labourers, and a good garden commonly goes with a cottage at the higher sum. This point, in relation to the Duke of Bedford’s cottages, is further referred to in the Appendix. The garden is always included, where there is one; but one of the great evils of having cottages congregated in villages is that space for gardens cannot always be found. Garden allotments are frequently rented separately from the cottages. Such evidence as “1s. 6d. with 40 poles of garden,” or “1s. to 2s. with 20 poles of garden,” was frequently noted in the course of my travels through the district. On the other hand, I have previously mentioned cases of villages containing many cottages with no gardens, and others with very small gardens. These are often let at rents quite as high as those of cottages with 20 to 40 poles of garden or garden allotment. 46. Rates on cottages are almost universally paid by the owners. The only exception that I heard of was that of one owner of land and cottages in Chalgrave and Hockliffe, who requires his cottage tenants to pay rates. The amount of the rates on cottages varies greatly. The overseer at Woburn obliged me with the amounts for a few parishes. In Woburn parish the Duke’s cottages are assessed at £1. 10s., the rates being 3s. 6d. in the pound. In Milton Bryant the Duke’s cottages are valued at £3. 10s. to £4. 10s., and others at £2. to £3. 10s. In Potsgrove the assessment is £2. 5s. to £4., rates being 2s. 3d. in the pound. In Chalgrave the amounts are £1. 5s. to £2. 10s., and the rates are 3s. in the pound. 47. As already stated, gardens are common, but by no means universal. About half the cottages in Toddington, I was informed, have none, and several in other villages. Where there are gardens the size ranges from one polo up to 40 poles. They are nearly always well cultivated. The great lack in the gardens of the Duke’s tenants is that of fruit trees. There are fruit bushes, but very few trees. The reason given for this is the liability of the owners to be shifted, under the regulations noticed in paragraph 36. 48. It would be impossible to find a district better supplied with allotments than the Woburn Union. Bedfordshire, as a whole, is well supplied, but the Woburn Union better. The Return on Allotments and Small Holdings issued for 1890 by the Board of Agriculture shows that there were 15,194 detached allotments (garden allotments not being returned) in a cultivated area of 295,509 acres. The number is exceeded only in Bucks, Leicester, Lincoln, Nottingham, Northampton, Oxford, Somerset, Warwick, and Wilts, all much larger counties. There was in 1890 one detached allotment in Beds to every 19 acres of cultivated area (crops, bare fallow, and grass), a ratio greater than that of any other county in Great Britain. I have no means of ascertaining the cultivated area of the Woburn Union exactly, but if it bears the same proportion to the total area as that of the whole of the county does, it is about 25,500 acres. The number of detached allotments returned in 1890 for the union is 1,424, or one to every 18 acres; but this is not all, for there is an extraordinary number of garden allotments in the Woburn Union, nearly all the Duke of Bedford’s cottages being provided with them. Therefore it may be regarded as probable that the Woburn Union is better supplied with allotments than any other union in the country. This is partly owing to the liberality of the Dukes of Bedford, but not by any means entirely, for they were not the first to start the allotment system in the county. 49. 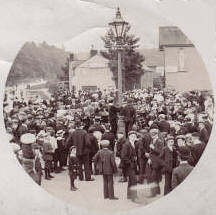 At present the Census Returns of 1891 are not sufficiently complete to enable me to ascertain the number of agricultural labourers in the Woburn Union, but in every parish I was assured that every man who desired an allotment could have one, and in most parishes that many men had more than one. In all Bedfordshire, including the people living in towns, there is one detached allotment to 10.58 people. In the Woburn Union the ratio is one to 6.37. If garden allotments were included, there would probably be found to be nearly one to every head of a family, townsmen included. 50. Table C. in the Appendix shows the number of detached allotments, as returned in 1890, under a quarter of an acre and from a quarter to an acre respectively, for each parish in the Woburn Union, and for the whole. The evidence which I collected gives either from 20 or 40 poles to an acre as the range in most parishes, 40 poles to three or four acres (those above an acre being over the limit of allotments as defined in the Allotments Act) in two parishes, 10 to 40 poles in Hockcliffe, and eight to 40 poles in Woburn. A summary of evidence on this point will be found in Table D. in the Appendix. 51. The only regulation us to the cultivation of allotments that appears to be at all common is the insistence on spade husbandry. In a few cases, however, corn growing is prohibited. Most of the allotments are excellently cultivated, but there are marked differences in this respect, and instances of plots being thrown up in very bad condition were mentioned to me. 52. Garden crops and corn are grown on allotments as a rule, the former in all cases and the latter to some extent in many. Fruit is not grown on allotments, partly because those who planted trees or bushes would have no security for their value on giving up the land, partly because there would be no safety against pilfering, and also because of the difficulty of disposing of fruit in rural districts. Fruit is grown to some extent in gardens. 53. The rents of allotments in the Woburn Union Ren! as shown in Table D. of the Appendix, are usually at allot the rate of £2. an acre. Some charity allotments at Aspley Guise are let at 3s. 6d. for 20 poles, the rent being returned in bread. At Holcut and Salford the Rev. B. C. Smith lets some at 32s. to 40s. an acre, and at Eversholt there are some charity allotments at 35s. an acre. On the other hand, at Hockcliffe, according to the labourers, the glebe allotments are let at 21. 10s. an acre; at Harlington the charge is 41. an acre, of which the men bitterly complain; at Ridgemount the men say they pay 12s. 9d. per 38 rods for some land, or at the rate of £2. 13s. an acre; and at Toddington the usual range is £2. to £1 10s., while some land is let at £3., and one little field close to the main street, belonging to a small owner, is let at £5. an acre. As a rule, these rents are inclusive of rates, which are paid by the landlord. The only exceptions I heard of wore those of one owner’s allotments at Chalgrave (let at only 30s. an acre), and of those of another owner at Toddington, whose tenants have to pay rates. The former also requires his rents half-yearly in advance, but this is quite exceptional, as they are usually paid at the end of 12 months. Generally the rents are well paid, but in Toddington, the Rev. F. A. Adams says a good deal of rent is lost at times, which accounts, he thinks, for the comparatively high rents charged in the parish. He lets 96 acres of his glebe in allotments at £240., but the actual income does not average more than £200. Some of the tenants throw up their allotments after a bad season, leaving the land in such a bad state that only half the usual rent can be charged for the next year. Still, he says that the allotments are generally well cultivated. 54. In most of the parishes the holders of allotments have a difficulty in disposing of any surplus produce at paying rates. They can usually get rid of potatoes satisfactorily, but not of some other vegetables. At Toddington, however, the allotment holders either retail their surplus produce or more commonly sell it to occupiers of small holdings, who retail it with their vegetables. 55. The Rev. P. A. Adams, the Rev. James Andrews, and others strongly expressed their appreciation of the benefit of allotments to the labourers. Indeed, there is no doubt that those of them who get the lowest rate of wages in the district and have families to support would be very badly off without the food produced on their allotments. It is obvious, however, that allotments do not prevent migration from the Woburn Union. 56. It is said by some persons that allotments lower wages, and this is obviously true up to a certain point where their possession prevents labour from becoming scarce in a district. But if the limit which farmers can afford to pay for such labour as they can obtain is reached, the lack of allotments would not make them pay more. They would throw all their land down to grass, and do with hardly any labour. The question of rent comes in here, of course, but land all in grass would command as much rent as land partly arable. Besides, even if allotments tend to lower wages, it is because they make men too comfortable to migrate excessively. There is every reason to believe too, that the value of allotments to labourers is a great deal more than any increase in wages which they would obtain by the painful method of making themselves scarce, if they gave up their plots of land. 57. The general opinion of farmers appears to be that a garden of 20 poles is better than a quarter of an acre of allotment ground away from a cottage. Many of them complain that the men spend their strength on their allotments which should be spent in earning their wages on farms. Still, those who said this to me admitted that a man who spends his evening on his plot of land is better fitted for work the next day than he would be if he spent it in the public-house. As to the question of how far the men accommodate themselves to their employers’ convenience when they have work on their allotments which they wish to finish there is some conflict of evidence. Some employers say that there is very little to complain of, while others assert that there is a good deal. It is said by witnesses who are apparently unprejudiced that a man who has half an acre of land seldom works regularly on a farm, and that he is apt to become a mere jobbing worker, to his own hurt. This seems probable in a district where the women appear to disdain work on an allotment. If they are as badly off as some of them say they are, they might, with the help of their children, do all the work on half an acre that the man cannot get through in the evenings, except for a day or two when potatoes have to be dug or other crops gathered. 58. It is scarcely necessary to say that the Allotments Act was not needed for the Woburn Union, either to supply land or to render allotment rents generally moderate or low. I was informed that a little land was obtained under the Act, or under the threat of putting it into action, at Hockliffe and Chalgrave, but nowhere else in the union. 59. Table C. in the Appendix gives the number of small holdings up to 50 acres in each parish of the Woburn Union, as returned by the Board of Agriculture for 1890. Why all up to an acre were not included with allotments it is difficult to imagine. However, the total is only 232, which is not a great number, and only 46 were owned by the occupiers. Nearly half are in the three parishes of Aspley Guise. Toddington, and Woburn. In Aspley Guise and Toddington there are some market gardeners, while in Woburn most of the small holdings are used as accommodation ground by shopkeepers and others in the town. 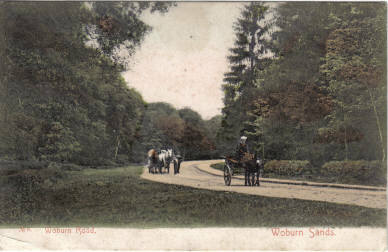 The total number of detached allotments and small holdings in the Woburn Union according to the return, was 1,656 in 1890, or at the rate of one to 5.6 persons of all ages. 60. Many of the small holders have done well in the past. One whom I met told me how he began as a farm labourer, acquired first an allotment, then two or three plots, and afterwards several acres, saving a nice little sum before he became old. Mr. Horley, too, landlord of the principal inn, did well years ago in sending market garden produce to London or the manufacturing towns of the midlands and the north. But now he says this business does not pay, as rail freights eat up all the profit, and the only small holders who do any good as a rule are those who retail their produce. Some of them go as far as Luton, and at least one goes to Harrow to sell vegetables from house to house. They act, too, as dealers, buying up the surplus produce of small holders. Thus they make a decent living; but there are apparently as many of them as are required. 61. I asked a number of labourers whether there would be any demand among their class for small holdings under the new Act. Not one said that there would be any demand for the purchase of holdings, the opinion appearing to be that hardly any farm labourers were “men enough” to buy even 10 acres of land, paying the instalment required, and finding capital to cultivate it for a year. Some, however, could hire 10 acres, they thought, and would be glad to do so. 62. Many of the labourers keep a pig or two, and some keep poultry, but hardly any keep bees. I did not hear of any case of an agricultural labourer keeping a cow in the district. 63. Most of the young men are in a benefit club of some kind, but many of the old men are not in any, the small local clubs to which they formerly belonged being broken up. A few of these wretched traps for poor men’s savings still exist, but not many. Most of the young men belong to the Odd Fellows, the Foresters, or the parish clubs established at Tingrith, Aspley Guise, and Eversholt. The Tingrith club has a high reputation in several parishes, and is registered. 64. There are no industries in the district which seriously compete with agriculture for labour, unless the railways which traverse it be included. There are lime works near Toddington, and fuller’s earth works near Woburn Sands, but these do not employ many men. 65. The plaiting industry once hardly inferior to that of agriculture as the mainstay of the working class in the district, is all but extinct. I conversed with some of the few women who still do a little plaiting, and they assured me that they could not earn more than 2d. if they worked at it all day, while some said that they actually did not earn more than 1d. For 20 yards of plait, once worth 9d, only 3d. is now paid, and straw costing 1d. to 1½d. has to be bought by the worker. Yet a few women, chiefly at Toddington, still work at this wretchedly-paid trade when they are not occupied in household duties. Some make hats, and they probably do better than the mere plaiters. In the prosperous times of plaiting the men, as well as the women, could earn 1s. a day or more. Some good hands earned 10s. a week, and then the men were indifferent as to being out of farm work in winter. Indeed, many of them preferred to sit over the fire plaiting to working in the open. Children also did plaiting, and families earned high wages. 66. Another local industry still more nearly extinct than plaiting is lace-making. One woman whom I saw doing this work informed me that she could earn only 1d. a day at it. but there are very few now who injure their health by stooping over this monotonous and tiresome work. 67. At Ridgemount Miss Crouch has a class of labourers and boys in which wood-carving is taught. Some of their work, which she kindly showed me, is excellent. A good hand, I was told, could earn 3d. if he worked at carving all day. 68. The Agricultural Labourers’ Union got a little hold in parts of the district many years ago, but it appears to have no members in it now. There was a strike or threatened strike at Toddington some 15 years ago which led to a rise of wages, quickly followed by a fall. During the last 10 years, however, no disturbance has occurred. 69. Employers and employed appear to be under friendly conditions. There is some grumbling on both sides, as there usually is everywhere, but not to any uncommon extent, I think. It is not surprising that neither should be perfectly satisfied, for, while the wages are not high, the quality of the labour, so far as can be judged by the general appearance of the men whom I saw, is not the highest. If it may be said that good pay makes good workmen, it may with equal truth be said that the converse is the case. 70. I was assured by the medical officers that the sanitary condition of the district was generally good. No overcrowding is allowed in cottages, unless it be where large families have only one bedroom, which is not a common state of affairs. Lodgers are not allowed in the Duke’s cottages without the consent of the agent, and this rule I believe is in force in respect of cottages belonging to some other owners. The sanitary authorities, as a rule, prevent flagrant abuses, either in overcrowding or in other arrangements. Dr. Prior, of Bedford, the medical officer of health for the union, is said to look after them well. But the cases of bad cottages in Toddington, Hockliffe, and Harlington, are not creditable to the authorities. 71. The evidence of clergymen and others is to the effect that the morality of the district is generally good, so far as it is tested by results which come into public notice. It is vastly improved since the days of prosperous plaiting and lace-making, industries, which as shown in Mr. Culley’s report, before alluded to, were fruitful sources of immorality. Mr. Matthews, the registrar of births, says that he does not now register five illegitimate children in a year. He also says that there is not much drunkenness “except at Toddington”, which seems to be the “black sheep” of parishes in the Woburn Union. 72. Of the general condition of the labourers in the district I may say that it might be better and it might be worse. If it were not for the generally good cottages and the allotments, I should pronounce it rather bad, as the weekly wages are low, and the opportunities of earning extra payments are few. But those who lived long in the district say that the condition of people has improved greatly. That they should give this evidence in spite of the decay of plaiting seems strange, but plaiting was depressed for a long time before it became entirely unremunerative, and possibly the comparison is drawn from comparatively recent years. Mr. Matthews, who speaks from 30 years’ experience, however, says that whereas from about 1865 to 1873 he used to expend £70. to £80 a week in poor relief in the union, he now spends £30. or less, in spite the fact that the guardians are liberal in giving out-door relief where help is needed. Out-door relief is given permanently a good deal. A man and his wife gets 5s. and two loaves; a woman has 2s. 6d. and a loaf if she can plait or go out charing, or up to 3s. 6d. if she has rent to pay. There is a good deal of private benevolence, too, in most of the parishes, and the clergy, the relieving officer, and the medical officers say that there is very little actual distress. Toddington is the chief sufferer. This parish, as a large open one, has long been a refuge for the destitute, receiving men turned out of other parishes in which the owners of the cottages require good character in their tenants. But even there, the witnesses say, distress, when it occurs, is usually through the fault of its victims. It is obvious that men with large families, not earning anything, must have a very hard struggle to supply themselves and their wives and children with food if their average earnings are only 13s. 6d. a week – to mention the lowest average. But the prices of bread, meat, and provisions generally are much lower than they were. I endeavoured to obtain some labourers’ budgets, but was not successful except in one instance, which is given, with the prices of provisions, in the Appendix. Not one of the men whom I asked for a balance sheet of receipts and expenditure could give one. They appeared to deem the request inquisitorial. All the labourers budgets that I have seen resemble farmers’ accounts of crops, in so far as the expenditure exceeds the receipts. Most farmers live, in spite of growing crops apparently at a loss, and labourers and their families flourish on wages less than their supposed minimum expenditure amounts to. Stranger still, the women and children are well dressed. How it is done is a mystery, when there are children earning nothing. When the boys begin to add to the family income, the mystery exists no longer. The help in maintaining a family derived from an allotment, and from the pig that often goes with it, is a very important consideration. Farmers say that, while their own outlook was never more gloomy than it is now, labourers were never as well off as they are at the present time. Apart from the plaiting this would probably be true, and it is a question whether allotments, slightly advanced wages, and low prices for food not produced on allotments, do not counterbalance the plaiting earnings of the old times. The total money earnings of the labourers and their families are certainly much less than they were at the times when plaiting and lace-making were fairly remunerative, and when every member of a family not a mere infant contributed to the total takings. But money is not everything, and the best friends of the agricultural labourers of Bedfordshire would hesitate before recalling, if they had the power, the old times, with their drunkenness, immorality, premature marriage, and unhealthy child-work. It is better for young women to be in service than wandering about the lanes and fields with a piece of plait in their hands, and it is better for children to be at school than to be slaving at lace-making or plaiting. The extraordinary number of little public-houses in the villages of the Woburn Union may in great measure be regarded as a legacy from the days of prosperous plaiting. If four out of five of them were abolished there would still be more than enough for any reasonable requirements. Evidence shows that there is less pauperism, less distress, less disease, and less immorality now than existed in the times referred to; and, therefore, taking all things into consideration, there appears to be good reason to say that the general condition of the agricultural population of the Woburn Union is better now than it ever was before. If agricultural prosperity should return, a further improvement might be confidently expected. Order of decrease in population in twenty years, 1871 to 1891. N.B. – No considerable increase of detached or other allotments has taken place since 1890 but the total given above does not include the large number of garden allotments let with cottages at inclusive rents. The number of small holdings has increased, owing to the fact that many men have obtained several allotments each. N.B. – No considerable increase of detached or other allotments has taken place since 1890, but the total given above does not include the large number of garden allotments let with cottages at inclusive rents. The number of small holdings has increased, owing to the fact that many men have obtained several allotments each. Aspley Guise & Heath Rather short S.: H. and St. 5-6 & O.L. 6-6. W.: H. and St. 5-6 & O.L. 6-dark. H. and St. 15s. ; O.L. 12.s. to 13s. Battlesden Sufficient S.: H. and St. 4.30-6 & O.L. 6-6. W.: H. and St. 4.30-6 & O.L. 7-5 H. 14s. 6d. ; St. 13s. 6d. to 14s. 6d. ; O.L. 12s. Chalgrave Short S.: H. and St. 5-6 & O.L. 6-6. W.: H. and St. 5-6 & O.L. 7-dark H. 14s. ; St. 13s. to 14s. ; O.L., 12s. Eversholt Enough, such as it is.S. : H. 5-6 St. 6-6 & O. L. 6-6. W.: H. 5-6 W.: St. 6-6 & O. L. 7-dark H. 15s. ; St. 14s. 6d. ; O.L. 12s. Harlington Not enough S.: O.L. 6-5.30. W.:7-dark H. and St.,16s. ; O.L. 13s. Hockliffe Short, boys especially S.: H. and St. 5.30-6, 0. L. 6-6. W.: H. and St. 5.30-6 & O.L. 7-dark H. and St., 14s. (some with cottage). O.L. 12s. Holcut Enough, by paying 1s. extra S.: H. and St. 5 or 6-4.30 & O.L. 6-5.30. W.: H. and St. 6-5.30 & O. L. 7-dark H. and St. 14s. to 16s. ; O.L. 13s. Husborne Crawley Scarce in busy times S.: H. and St. 5-6 & O.L. 6-6. W.: H. and St. 5-dark & O.L. 7-dark H. and St. 14s. to 15s. ; O.L. 12s. A few 13s. Milton Bryant Short, boys especially S.: H. and St. 5-6 & O.L. 6-6. W.: H. and St. 6-dark & O.L. 7-dark H. 13s., and cottage and garden, or 14s. 6d., St. 13s., O.L. 12s. Potsgrove Sufficient, but have to walk two or three miles S.: H. and St. 5-6 & O.L. 6-6. W.: H. and St. 5-5 & O.L. 7-dark,H. 15s., St. 14s. O.L. 12s. 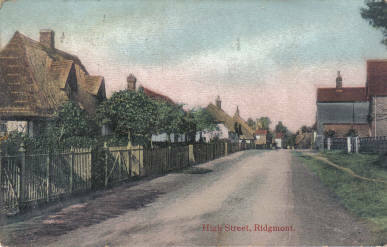 Ridgmount Short in busy times S.: H. and St. 5-6 & O. L. 6-6. W.: H. and St. 5-dark & O.L. 7-dark H. 15s., St. 14s. and 15s., O.L. 12s. Salford Rather short S.: H. and St. 5-6 & O.L. 6-6H. and St. 14s. and 15s. O.L., 12s. and 13s. Tilsworth About enough -H. 14s., St. 13s. to 14s., O.L. 12s. Tingrith Sufficient S.: H. and St. 5-6 & O.L. 6-5.30. W.: H.and St. 5-8 & O.L. 7-5H. and St. 13s. to 15s., O.L. 12s. Toddington Sufficient H. and St. 5.15 or 5.30-5.30 or 6, O. L. 6-5.30. W.: H. and St. 5.30-5.30 & O.L. 7-dark H. and St. 13s. to 14s. O.L. 12s. to 18s. Woburn Not sufficient in busy times S.: H. and St. 5-6 & O.L. 6-6. W.: H. and St. 5-6 & O.L. 7-dark H. and St. 15s. ; O.L. 12s. Supply and Condition of Cottages. Aspley Guise & Heath £5. to £6., piece-work Not sufficient.Generally good. 2s. to 2s. 6d. a week. A few 3s., generally with good gardens. Battlesden £5, for month, with beer Only five in parish. Excellent. 1s. 6d., with 40 poles of garden. Chalgrave £4. to £4. 4s. for month, with beer, or 24s. instead. Higher earnings by piece Sufficient. Mostly fair, but some bad. 1s. to 2s, mostly with small gardens, but some without. Eversholt By piece, £6. to £7., without beer Sufficient. Very good. 1s. to 2s., with 20 to 40 poles of garden. Harlington 24s. to 26s. a week for month, with beer worth 18s. for month Not sufficient. Bad. 1s. 6d. to 2s., only a few with gardens. Hockliffe 20s. to 21s. a week for a month Sufficient. Mostly fair, but some very bad. 1s. to 2s., most with gardens of 10 to 20 poles; some without gardens. Husborne Crawley £4. to £5., with beer. More by piece. Sufficient. Mostly very good. Generally 1s. 6d. to 2s., with garden of 20 to 40 poles. Milton Bryant 20s. to 22s. a week. £6. to £7 by piece in a month. More than enough, very good. 1s. to 1s. 6d., with small gardens. Some £4. a year, with 40 poles. Potsgrove 21s. a week for month, with 16s. if no beer. Men earn £5. or more. Very short 1s. 6d. a week, with 20 poles garden. Ridgmount £6. for 24 fine days Enough. Generally good but some wetched hovels. Generally 1s. to 1s. 6d. a week. Salford 26s. to 28s. a week for a month Not sufficient. Mostly fair, some bad. 9d. to 2s. 6d., with gardens. A few without gardens. Tilsworth - Sufficient. Generally fair 1s. 6d., with small gardens, or more. 2s., with good gardens. Tingrith 22s. a week for a month, and beer. Enough. Excellent. 8d. to 1s. 3d., with small gardens. Toddington 20s. to 25s. a week for a month, with beer valued at 3s. a week. £5. to £6., without beer, for month. Plenty. All sorts.Mostly fair, some very bad. 1s. to 1s. 6d. for two rooms, and no garden. More at 2s. Some with gardens and some without. Woburn By month, £5., and beer. By piece, £6. to £7., without beer. Enough. Excellent generally, but a few very bad. Duke's, 6d. to 1s. 9d., with gardens. Aspley Guise & Heath Plenty 20 to 60 poles Charity, 28s. an acre. Private, 60s. an acre. Battlesden Made into gardens See gardens, under "Rents of Cottages." See cottage rents. Chalgrave Sufficient 10 to 40 poles 30s. and rates, to 56s. free of rates. Eversholt Plenty 40 poles to 1 acre Charity, 35s. Private, some £2. Hockliffe For all who want them. 10 to 40 poles £2. 2s. to £2.10s. Holcut Plenty. See Salford. See Salford See Salford. Husborne Crawley Sufficient 40 poles to small holdings of 2 to 3 acres. Some £2. an acre. Milton Bryant More than enough. Some given up. ¼ acre generally £2. an acre. Potsgrove For all who desire them. ¼ acre to ½ acre £2. an acre to £2. 13s. an acre. Ridgmount Plenty 20 poles to nearly an acre. About £2. an acre. Salford Plenty. 50 acres in parish.,¼ acre to 3 acres 32s. to 40s. an acre. Tilsworth Plenty 10 poles and upwards 3½d. a pole. Tingrith Enough ¼ acre £2. an acre. Toddington Plenty ¼ to 1 acre, and small holdings of 3 to 4 acres. One of 12 acres in allotment ground. £2. to £3. per acre generally. A few in town at £5. Woburn Ample 8 to 40 poles 2d. to 3d. a pole. I. Yearly Earnings of Farm Labourers. The earnings of two of the labourers referred to in paragraph 27 of the Report are given below in tabular form. It must be explained that there were two days over the 52 weeks in the 12 months, this being leap year. In an ordinary year there would be one day over the 364 comprised in 52 weeks. The two extra days were May 1 and 2, 1891, preceding the first complete week of May which contained a pay day. Earnings of Mr. Millard's (Aspley Guise) Labourer. Earnings of Mr. Mossman's (Battlesden) Labourers. As stated in paragraph 27 of the Report, Mr. Mossman estimates the average earnings of his cattlemen and shepherd at fully 1s. 6d. a week, and those of his horsekeeper at 2s. a week more than those of the labourer above referred to. Mr. Stopp’s stockman averaged 15s. 6d a week without the value of beer given in haytime and for various kinds of extra work, as shown in the same paragraph. In all cases but that of Mr. Millard’s man, the weekly ordinary wages were 1s. a week less than they are now for 10 months out of the 12. II. Prices of Provisions, July 1822. Bread per 4 lb. loaf (per lb.) 5d 5d. Cheap parts of beef (per lb.) 7d. – 8d. 6½d. Pork (per lb. )-6½d.Bacon (per lb.) 9d. – 10d. 6d. – 8d. Cheese (per lb.) 8d. – 1s. 3d. 6d. – 8d. Butter (per lb.) 1s. 2d. – 1s. 3d. 1s. 0d. III. A Woburn Labourer’s Budget. Family: Man, wife, and five children – none earning. Man, a horsekeeper, has 15s. a week regularly now, but had 1s. less last year. Extra earnings in haytime about 10s. ; harvest earnings 5Z. to 6L during the month. Actual earnings during 12 months ending April 30th, 1892 (wages being 1s. less than at present for 10 months, and loss of time from illness 16 days when he had allowance from benefit club), 38L 10s., or barely 15s. a week. Beer is not valued. Rent of cottage and 40 poles of land 2s. 0d. Bread, 10 quarterns and flour 6s. 0d. 1 lb. of tea 0s. 6d. 2 lbs. of sugar 0s. 6d. Firing average, winter and summer 1s. 10d. Soap and soda 0s. 7d. Meat, including bacon 4s. 6d. ½ lb. of butter 0s. 7d. ¼ lb. of cheese 0s. 2d. Clothing and boots 2s. 3d. As in all other labourers’ budgets that I have seen, the alleged expenditure exceeds the receipts. There is an obvious exaggeration in the amount given for bread and flour, as 10 quarterns of bread at 5d, would be only 4s. 2d., and flour is needed only for puddings and possibly for cakes at times. IV. land and cottages owned by the Duke of Bedford in the Woburn Union. Range of Farm Rents per acre. Acres of Land let in Allotments. This return was kindly made out for me by the Duke’s agent at Woburn, Mr. Charles P. Hall, with the approval of the Duke, who kindly expressed the desire that the fullest information should be given to me. In answer to questions, Mr. Hall says that the rents of nearly all farms have been reduced, and that remissions are made on reduced rents; that cottage rents are 6d. to 1s. 9d. a week for two to five rooms and garden: that, while a week’s notice to quit a cottage is sufficient according to agreement, a month’s notice is usually given; that 3d. a pole is the usual rent of the Duke’s allotments, while it is 2d., in a few cases, at Woburn, and 4d. to 6d. in a few others; that all cottages are held direct from the Duke; that rents of cottages are paid quarterly, and those of allotments yearly, not in advance; and that the repairs to cottages required of the tenants are those of window-glass and pumps, but that, practically, very little is done by the tenants. The Duke’s farms in the union as distinct from accommodation land, range in size from 30 to 700 acres. There are 19 from 100 to 200 acres, and 35 over 300 acres. Mr. Hall also states that the farm tenants are not confined to any specified system of cropping, being only requested to farm according to the most approved system of husbandry followed in the district. On the Duke’s Bedfordshire estate, including parishes not in the Woburn Union, there are from 1,200 to 1,300 allotments. The allotments, Mr. Hall says, are fairly cultivated, and the rents are well paid. There are no restrictions as to cultivation, he adds. Many labourers who have large gardens, or attached allotments, have detached allotments as well. Woburn Estate Cottages, 1845 Very many of the cottages on the above estate are built in blocks of three, four, five, and six tenements in each block, and consist generally of and containing: living-room 12ft.x11ft.x7ft.6ins. high; kitchen, 15ft.x11ft.x7ft.6ins. high; bedroom, 12ft.x11ft. with fire-place; two small bedrooms, 11ft.x7ft.6ins., no fire-place, partly in the roof, and 8ft. high; barns, generally 10ft.x8ft. ; earth-closets and ashpits, soft-water tanks, and wells of spring water. Some of the blocks are designed with three bedrooms, and two bedrooms to suit large and small families. They have gardens attached of 40 poles more or less supplemented where needed with allotments as handy as possible. Three-room cottage, 1s. 5d. per week, without garden; two-room cottage, 1s. 3d. per week, without garden. Average cost per cottage; £150 to £200. according to construction, locality, &c.
Woburn Estate Cottages, 1850 A single cottage for labourer built with hollow walls and covered with tiles, cheaply built, containing: living-room, 12ft.x11ft x7ft.6in. high: kitchen, 12ft.x11ft.x7ft.6ins. high;. small pantry; bedroom, 12ft.x11ft., with fire-place; bedroom, 11ft.x9ft., no fire-place, partly in roof, 8ft. high; barn, 10ft.x10ft. ; earth closet, 6ft.x4ft. ; ashpit, 4ft.x4ft. ; soft-water tank; spring-water laid on; 20 poles garden near to cottage; cost per cottage £160. to £200. according to position, construction, locality, &c.; rent, including garden, 1s. 2d. per week. Woburn Estate Cottages, 1865 Built of brick and tile as cheaply as possible, containing: living-room, 12ft.x11ft.x7ft 6ins. high; kitchen, 15ft.x11ft.x7ft.6ins. high; barn, 10ft.x8ft. ; earth-closet, 6ft.x4ft. ; ashpit, 6ft.x4ft. ; soft water tank; well and pump; bedroom with fire-place, 12ft.x11ft. ; bedroom, no fire-place, 11ft.x7ft. 6ins. ; bedroom, no fire-place, 10ft.x7ft.6ins. ; garden all fenced in, containing about 40 poles of ground; rent 1s. 4d. per week; cost of building in pairs in this locality, and at the above date, £350. Woburn Estate Cottages, 1870 Built of brick and slate, very substantial, containing: living-room, 15ft.x13ft.x8ft. high; kitchen, 13ft.x12ft.x8ft. high; pantry, 10ft.x6ft.x8ft. high; bedroom with fire-place, 13ft.x12ft.x8ft.6ins. high; bedroom, with fire-place, 13ft.x10ft.x8ft.6ins. high; bedroom, no fireplace, 9ft.x7ft.x8ft.6ins. high, brick party walls and partitions; coal barn, 10ft.x8ft. ; earth closet, 6ft.x4ft. ; ashpit and dry earth, 5ft.x4ft. ; washhouse, 12ft.x12ft. ; soft water tank, 1,000 gallons; spring water laid on; garden containing 40 poles all fenced in with gates; weekly rent 1s. 7d. ; cost of building in pairs in this locality, £625.